New reports claim that Khloe Kardashian has given Lamar Odom an ultimatum to seek help or move out of their home. According to TMZ, Khloe Kardashian asked Lamar Odom to leave after spending around four hours together on Saturday night. The website claims that Khloe Kardashian – who has asked Lamar Odom to leave their family home in the past – was angered after learning about his DUI arrest from the news, rather than hearing it first from her husband. 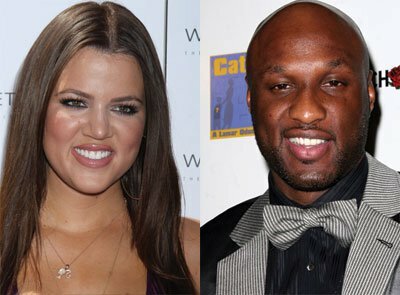 Khloe Kardashian, 29, reportedly wants Lamar Odom, 33, to agree to a stint of rehab before he can return to their home. It was revealed on Friday that a week before Lamar Odom was arrested on suspicion of DUI he was involved in a three-car collision on the exact same freeway. The crash was not reported to authorities, however a journalist for the Los Angeles Times has claimed that his car was rear-ended by another vehicle hit by Lamar Odom’s white Mercedes on Saturday.